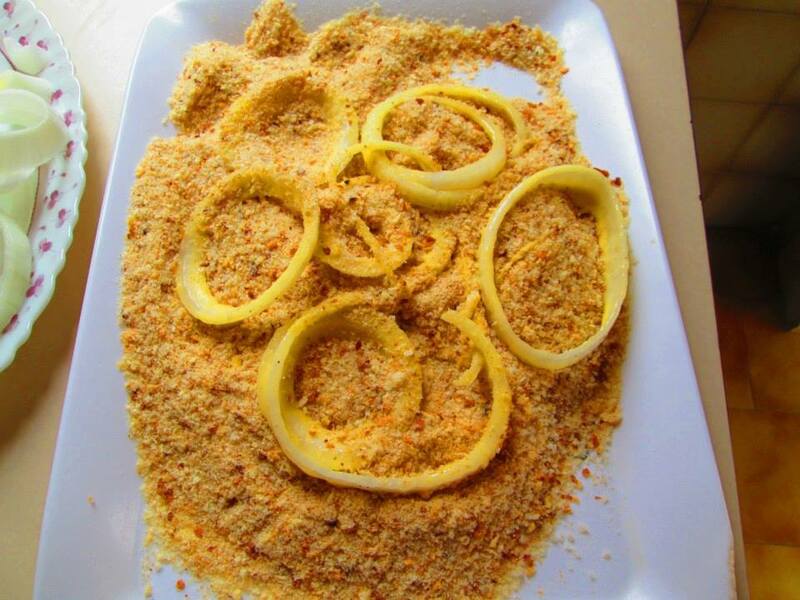 Press onion rings into breadcrumbs. 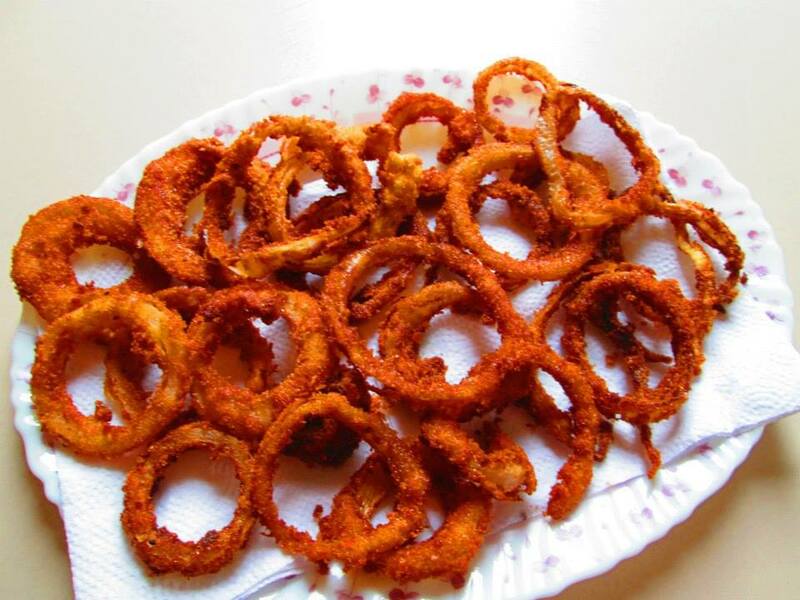 These make the rings crisp! 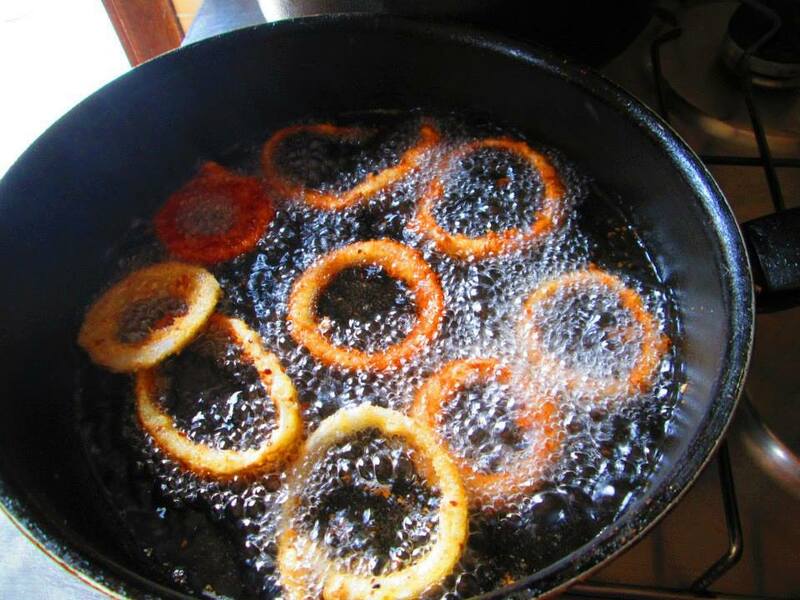 Fry battered onion rings as shown in photo so that they are floating separated, in very hot oil. 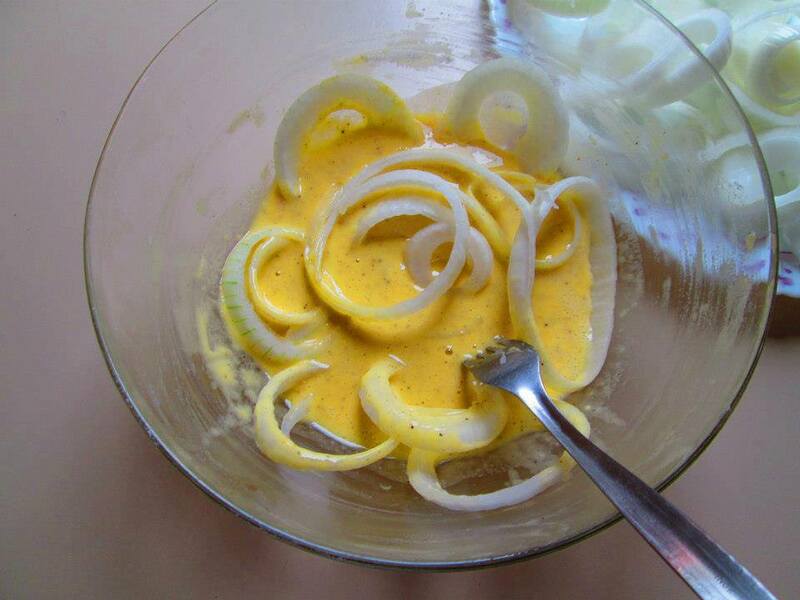 Parsis who have been frothing like our famous ‘doodh na puff’. Why should Prince William even have gone to Delhi?